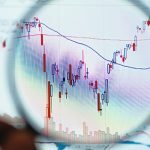 International Game Technology (NYSE: IGT), the global leader in driving technology innovations in the gaming industry, today announced that it will supply its top performing portfolio of mobile games to leading Swedish operator, Mr Green. 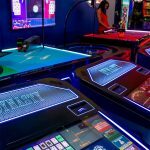 Their mobile product will include a range of free-play and real-money games, made available via a single integration with IGT rgs® (remote game server). The titles immediately going live are Da Vinci DiamondsTM, CleopatraTM, CatsTM, Wolf RunTM and Kitty GlitterTM. All IGT mobile games are optimised for iOS and Android smartphone and tablet devices, and feature portrait and landscape orientation, in addition to unique audio. Mr Green is a Malta-based, Swedish founded online casino operating on the European market with around 200 games on offer. International Game Technology (NYSE: IGT) is a global leader in casino gaming entertainment and continues to transform the industry by translating casino player experiences to social, mobile and interactive environments for regulated markets around the world. IGT’s acquisition of DoubleDown Interactive provides engaging social casino style entertainment to more than 6 million players monthly. More information about IGT is available at IGT.com or connect with IGT at @IGTNews or facebook.com/IGT. Anyone can play at the DoubleDown Casino by visiting http://apps.facebook.com/doubledowncasino or doubledowncasino.com. 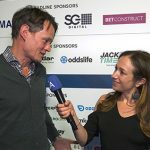 Mr Green is the next generation of online casino operators, operating under: https://www.mrgreen.com. 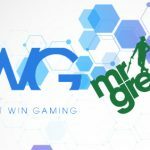 Mr Green was voted the best online gambling web site by magazine Internetworld over the past five years. Mr Green was added to the EGR Power50 list, of the most influential and important gaming companies in the world, in 2011 and 2012. Mr Green Ltd holds gaming licenses for casino issued by the Lotteries and Gaming Authority, LGA, in Malta. Da Vinci Diamonds and Pixies of the Forest was created by High 5 Games. 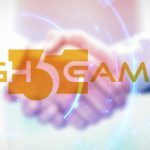 For more information on High 5 Games (H5G), go to www.high5games.com. Wolf Run is a trademark or registered trademark of IGT and/or its subsidiaries in the U.S. and/or other countries, and are used with permission.